America is faced with a perfect storm that risks accelerating growth in landfill costs: increased waste generation per capita, slowing approval of landfill capacity and China’s ban on imported recyclable materials. 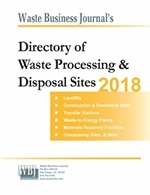 According to data compiled through Waste Business Journal’s direct survey of landfill managers, the national average cost per ton of landfilled waste in 2017 was $50.30 per ton, which is forecast to rise to $51.19 by the end of 2018 and projected to climb even higher through 2021. Nationally, the MSW tipping fee, which includes both landfill and incineration disposal, is projected to rise another 6 percent to $53.53 per ton by 2021. As shown in Table 1 below, there is a fairly wide range of price growth across the US, with waste costs in the Pacific region increasing more than twice as fast as those in the Southeast. Regionally, the Southeast and Northeast regions have average annual growth rates of 1.19% and 1.48% respectively, while the prices of Western US are expected to grow 2.28% every year. The Pacific states are facing the highest annual growth at 2.58% per year. We expect that these price forecasts could rise significantly over the next year. It should be noted that the pricing forecasts do not yet incorporate the potential impact of China’s material ban, which could send millions of additional, unanticipated tons of material to the landfill that would have been recovered as recently as last year. Moreover, industry bottlenecks threaten to significantly raise the cost of shipping waste from transfer stations to the landfill. Due to increased online shopping and other factors, there is a national shortage of qualified commercial truck drivers, which will increase hauling costs in the near term. Shipping waste by rail is no better. There are few things that can be put into trash hauling containers to allow a profitable return trip by rail, which makes trash trains a low priority for rail line owners, not to mention the growing complaints of communities through which these trains pass. In addition, due to increased rail traffic, the round-trip turn time from the New England and Mid-Atlantic states to the Midwest or Southeast has doubled in the last 3-4 years, which requires significantly more rolling stock and containers to prevent garbage from piling up. There is also a great disparity in the cost to landfill material across the country. 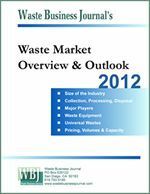 Currently, regional prices to landfill a ton of waste range from $35.69 in Western US to $74.75 in the Northeast. This disparity in prices may be attributed to geographical particulars. Historically, the Western US is significantly less populous and dense, leaving more “available space” to site landfills, plus recovered material didn’t have to be shipped far to reach the ships of the Chinese recycling trade. By contrast, the Northeast is much more densely settled, which makes new landfill siting all but impossible, and most of its existing permitted landfill space, except in New York State, is nearing the end of its useful life. Nonetheless, the Pacific will experience landfill tip fee growth totaling 10.73% by 2021 and the Western US isn’t far behind with a projected spike of 9.45%. As we have noted before, we are at a watershed moment for United States waste management and recycling practices and infrastructure. We should not count on the current recycling crisis being “solved” by China changing its mind on accepting our contaminated recyclables. Instead, we need to recommit to rebuilding our recycling industry at home, while, at the same time, reevaluating the framework by which certain materials are deemed environmentally and economically valuable. This latter task should use sustainable materials management and lifecycle tools to expand the definition of policy success by incorporating more aspects of solid waste management instead of exclusively focusing on the number of tons diverted from landfills. As we reach consensus on the priorities for the solid waste industry, we can adjust our infrastructure spending accordingly. Rising landfill costs reflect the myriad challenges facing the US solid waste industry. Moving toward a sustainable materials management approach will spur a revitalized industry and lead to better economic and environmental performance.